Warren Buffett's letters to the shareholders of Berkshire Hathaway, his holding company, are regarded as one of the most important and informative bodies of work ever written in the business and investing world. They are an absolute must-read if you want to get involved in investing or corporate management as they trace the evolution of Buffett's firm from a relatively small business of limited significance to the larger economy to one of the world's premier corporations with ownership in nearly every sector of the global economy. Buffett took over as Chairman of Berkshire Hathaway in 1965 when he was 35 years old. His shareholder letters between that time and 1976 were largely statistical recaps of the operating results of the textile mills. The legendary investor had not yet fully begun to transform the enterprise into its present conglomerate form. But that then changed. 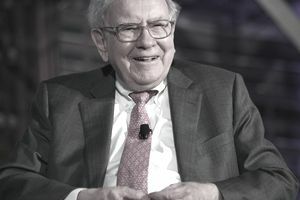 Topics covered in Warren Buffett's shareholder letters since 1976 include investment philosophy, portfolio management, corporate governance, diversification, and the limitations of GAAP. The letters cover employing incremental capital, selecting business managers, compensation policy, share repurchases, stock options, mergers and acquisitions, and the economics of the insurance industry. You name it, if it's useful to a business owner or investor, it's likely in one of Buffett's letters. A fiftieth-anniversary compendium of all Buffett's unedited shareholder letters was compiled by Buffett's friend and editor Max Olson, and published as a book in 2014. Olson has updated the project with print and digital editions each year since. The book packs quite a punch, covering over 50 years of Buffett's wisdom. The book contains extra charts and figures not included with the original letters, though beginner investors might want to skip those and head straight for the more practical and philosophical advice. More experienced investors should stop and examine those charts and figures, as they tell a fascinating tale about the growth of a business, a businessman, and about the economy in general. While many books and articles have been written about Buffett and his strategies, there's no better way to learn about the man's mind than by listening to him directly. If trying to tackle the entire 750-page-plus book seems like ambitious reading, access the original texts from the Berkshire Hathaway website, where you can pick and choose the years in which you're most interested. While the book covers Buffett's whole tenure as chairman, starting in 1965, the website has all letters starting in 1977 (and 1977 through 2003 are archived in HTML format, while 2004 through 2017 are available in Adobe PDF format). The letters are not for the faint of heart—most average about 30 pages, but they're brilliant and insightful, and just plain good reading if you're interested in learning from one of the most successful private investors in history.